Ford upped the ante by taking the New Power Stroke 6.7L to a monstrous 925 lbs. x ft. of torque in stock trim. 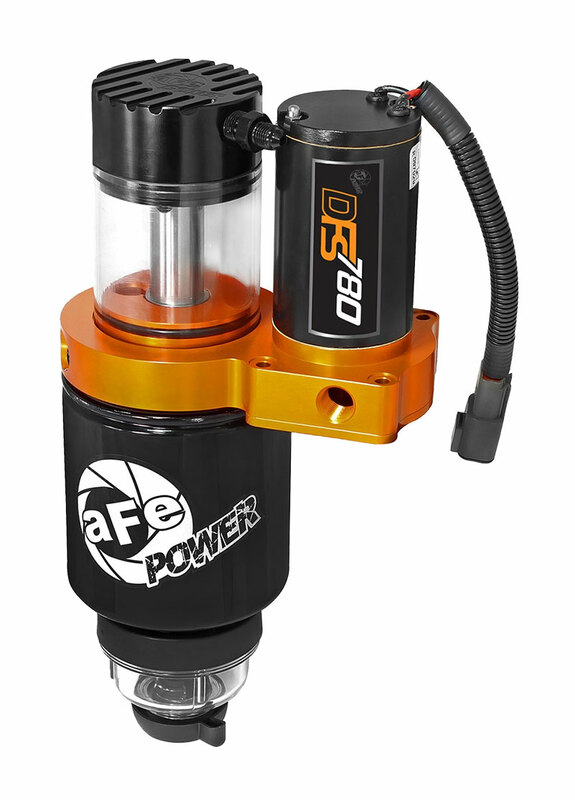 But the fun is just beginning for F-250/F-350 owners with the aFe POWER Performance Package! 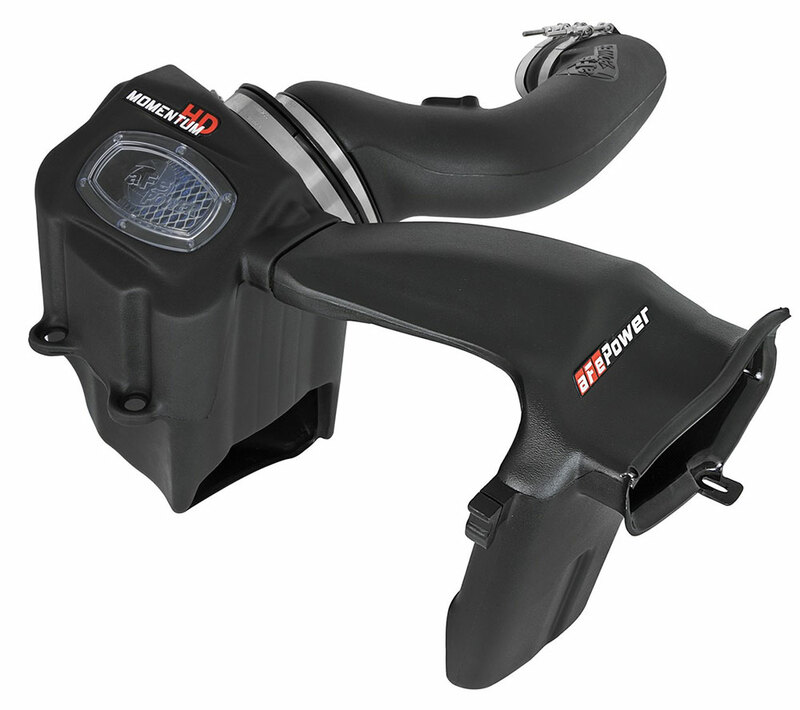 Bundled together is the patented Momentum HD Cold Air Intake System and the Scorcher Module, designed to work together to deliver an additional +96 lbs. x ft. of torque with an install time of 30-40 minutes. Improved passing power. Improved towing performance. Torque you can feel. 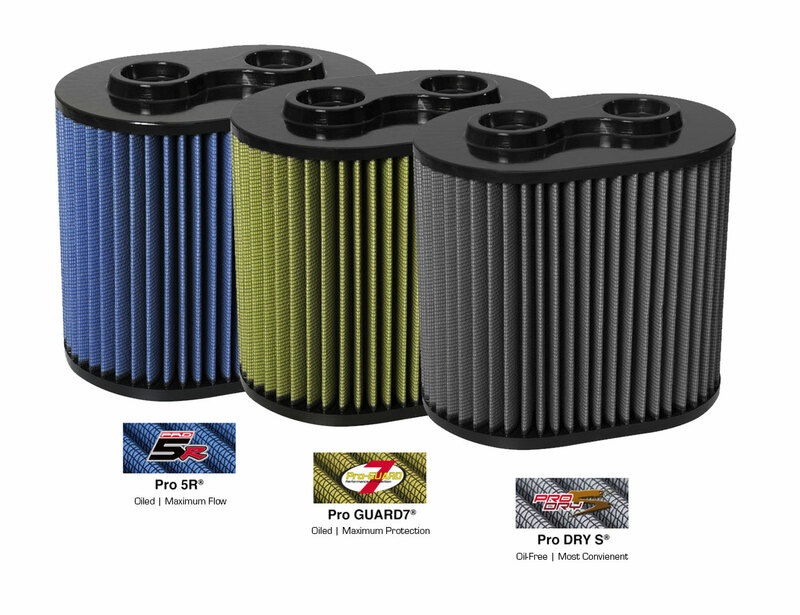 The newest design in air flow technology – From their heavy-duty components to their innovative filter-to-housing interface with four built-in screws. 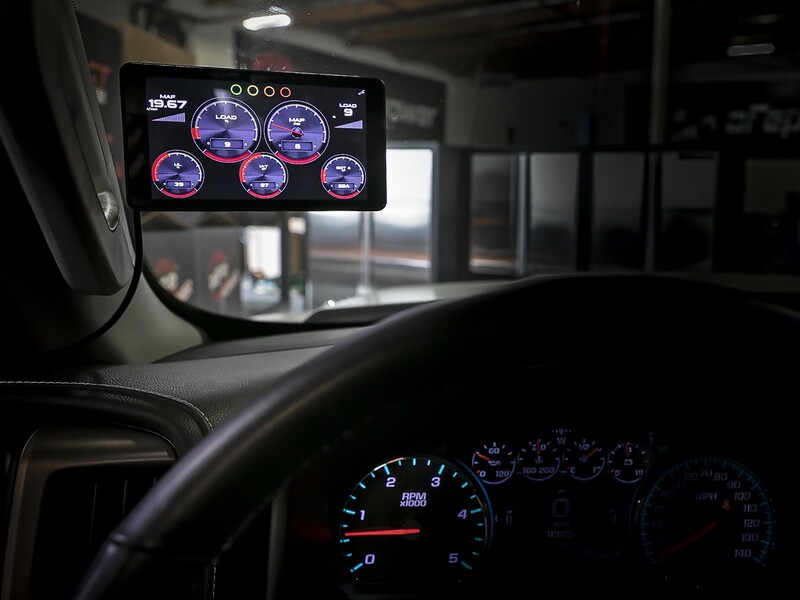 Quantum delivers dyno-proven performance gains, an industrial look, and installs in as little as fifteen minutes. 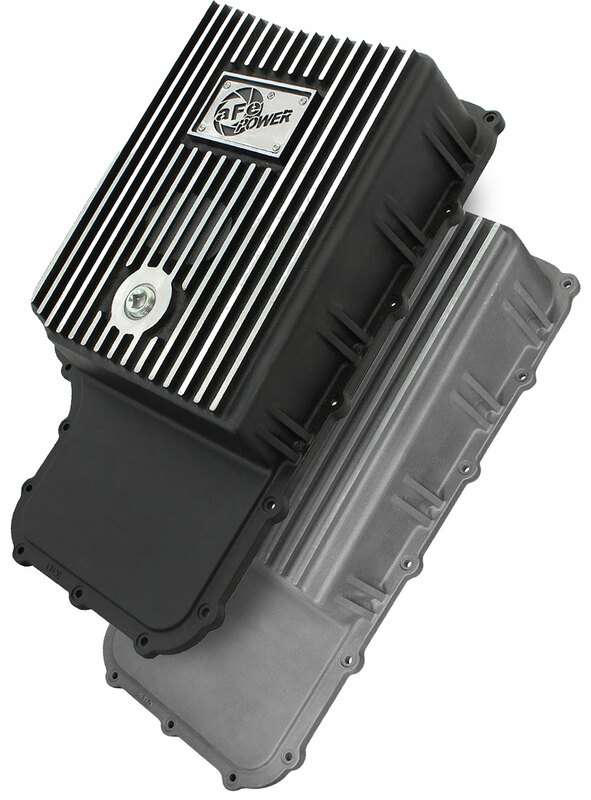 Momentum HD's award-winning design is so unique, it's even patented. 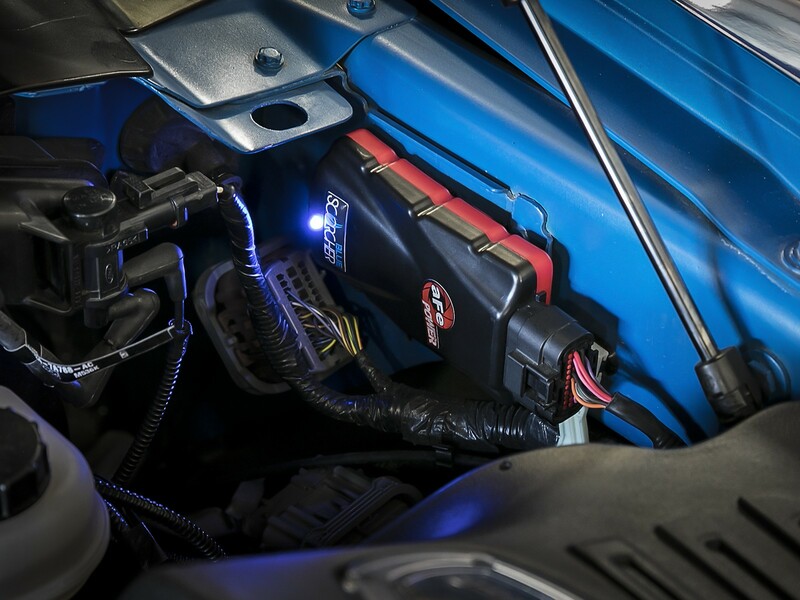 It features a completely sealed airbox with a clear sight window for easy inspection of its massive air filter. 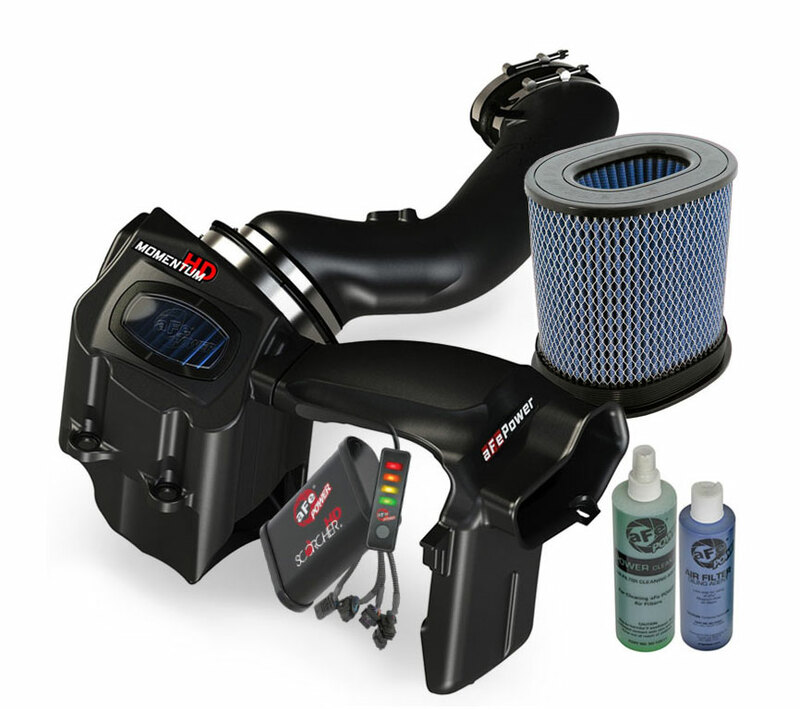 It features a dyno-tuned intake tube and delivers increased airflow and horsepower. 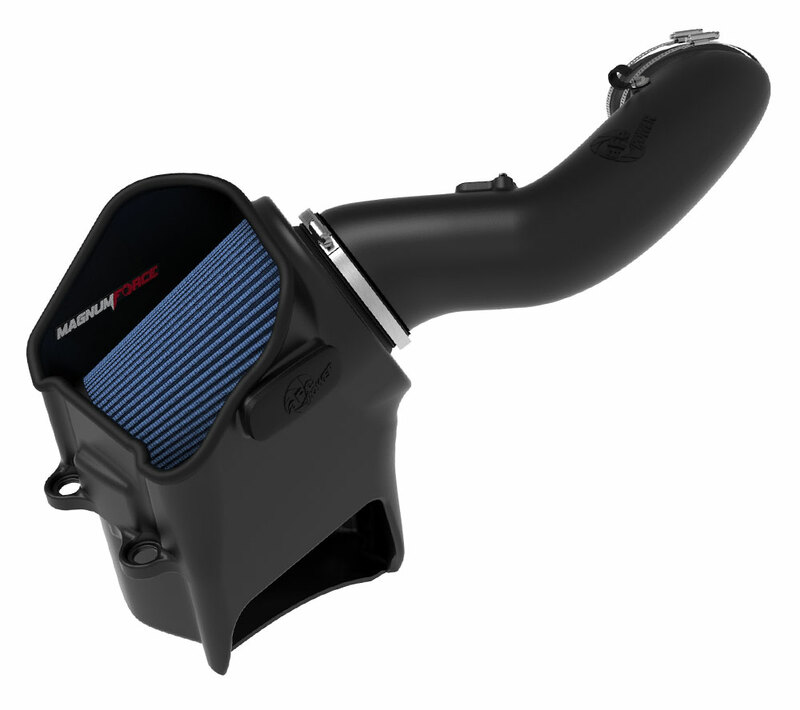 The Power Stroke’s Magnum FORCE Cold Air Intake features an open-element design, showing off its massive 9” wide air filter. A heat resistant intake tube and housing make for a 77% flow increase over the stock system. 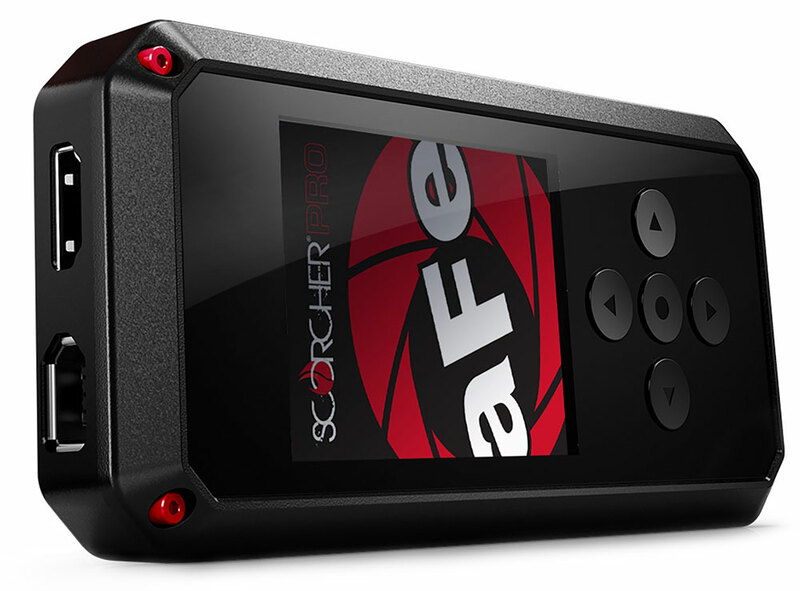 Added performance, convenience, and protection in as little as 10 minutes. Progressive filter media available either dry or oiled, trapping even the finest dust and dirt particles. Washable and reusable, saving you money over time when compared to OE replacements. Mandrel-bent tubing available in either aluminized steel or 409 stainless-steel. 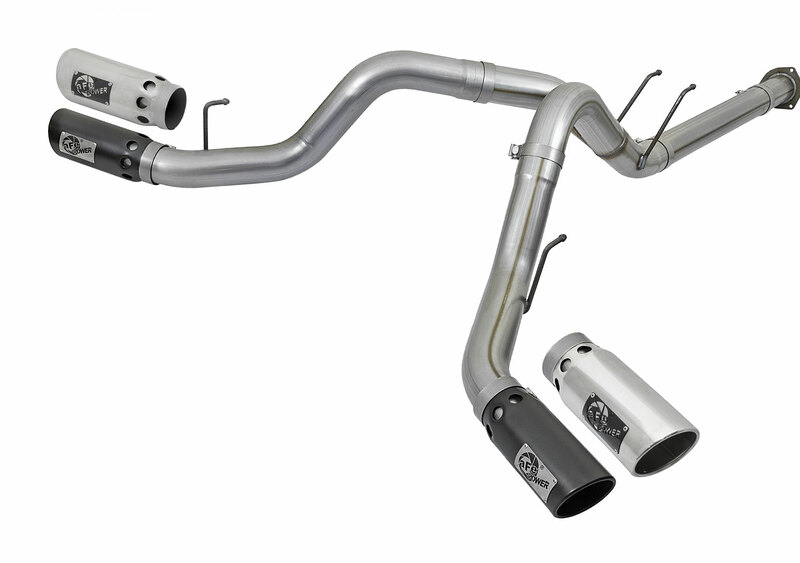 Both systems feature MIG-welding and large 6” intercooled tips that significantly lower exhaust gas temperatures at the tail pipe. 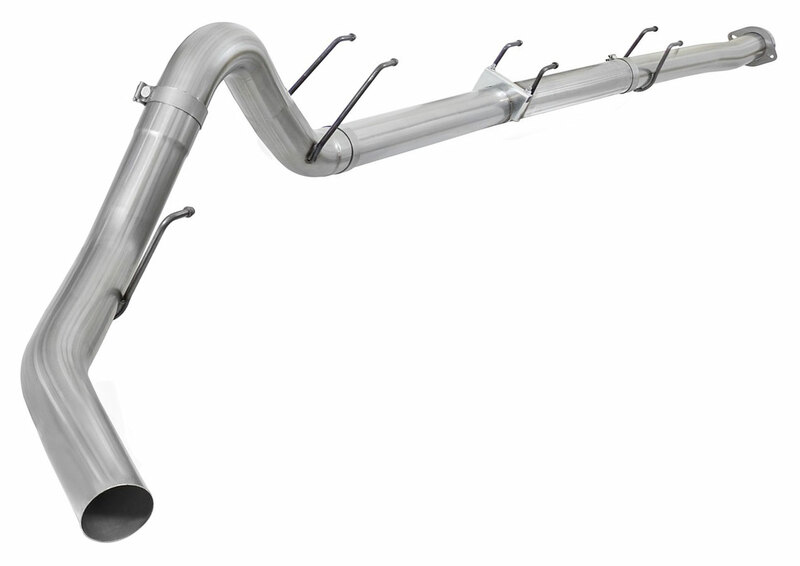 Constructed from large 4” mandrel-bent tubing, these systems’ smooth transition bends and mitered merge collector allow for low turbulence, increasing horsepower, torque and lowering EGT's. 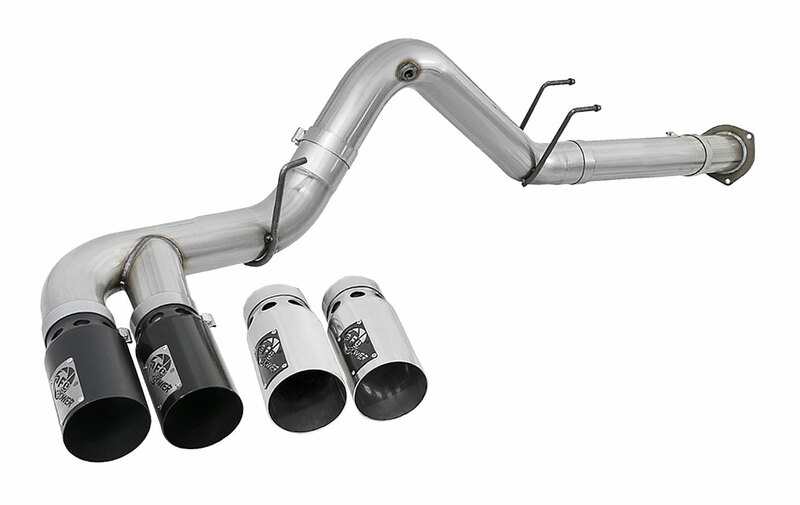 409 stainless steel construction, OE style mounting process, and a muffler delete design with an aggressive sound. One of our newest and most advanced designs – still extremely easy to install. 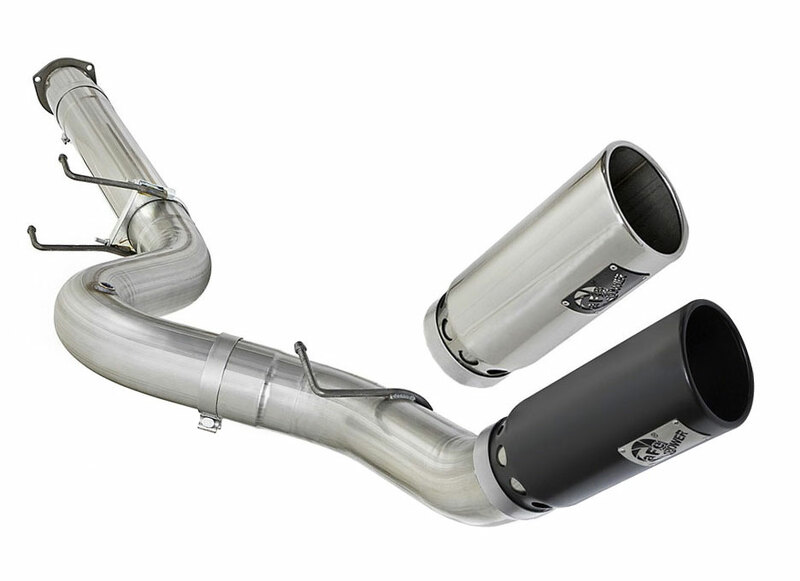 With mandrel-bent tubing and aggressive dual 5” stainless-steel tips, the Rebel XD Series Exhaust System is the perfect combination of performance, value, and style. 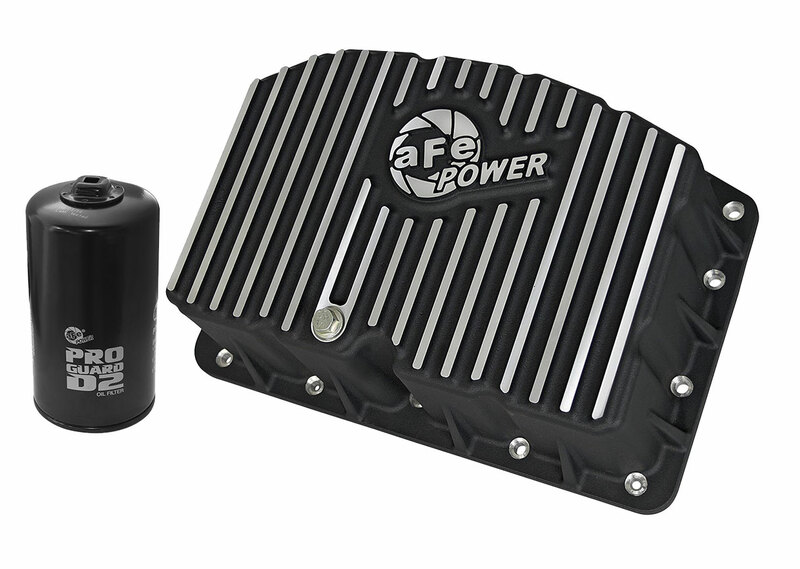 With options for either aluminized or 409 stainless-steel construction, aFe POWER’s Race Pipes bolt directly to the stock tail-pipe flange and provide a deep throaty tone on acceleration, while maintaining a soothing tone at idle. 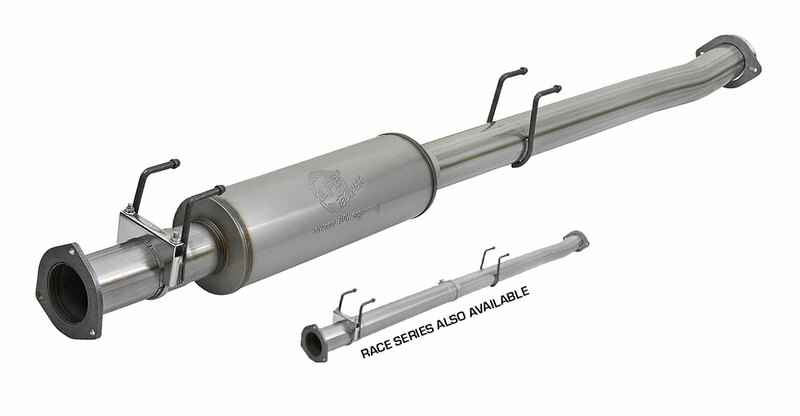 For an even more aggressive sound, a Race Series is available without a muffler. 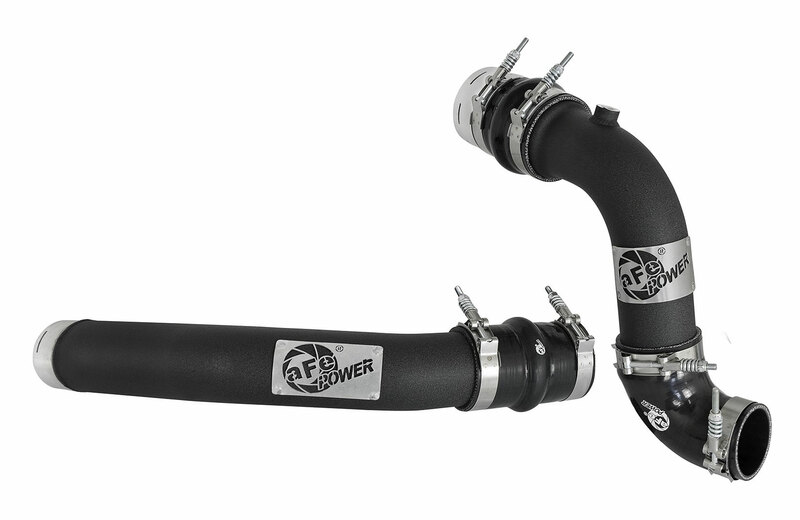 aFe’s intercooler tube upgrades are designed to directly replace the factory tubing, but are larger in diameter, providing smoother, improved, flow. All-In-One. Wi-fi capable with cloud-based tune delivery. Tunes for stock vehicles and those with aFe POWER modifications. View, capture, and log vehicle data. IOS and Android Connectivity. 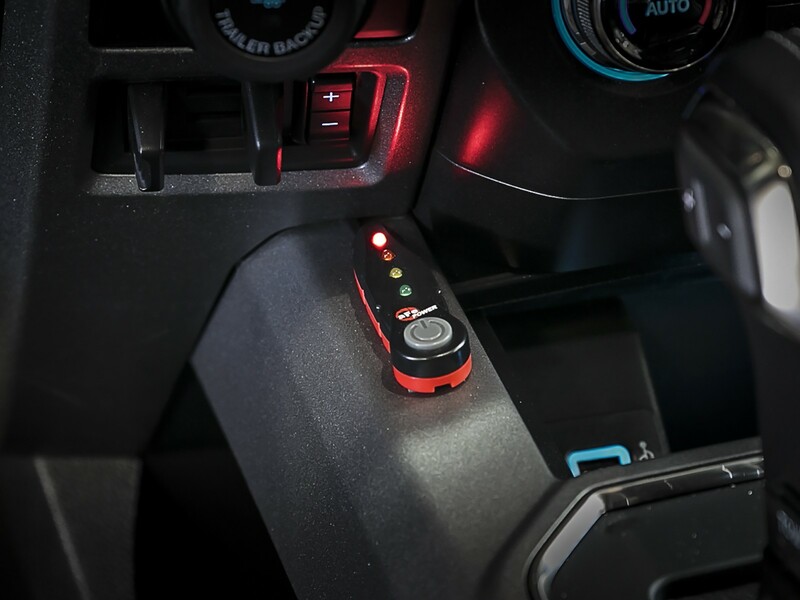 Three modes increase boost levels and fuel pressure. 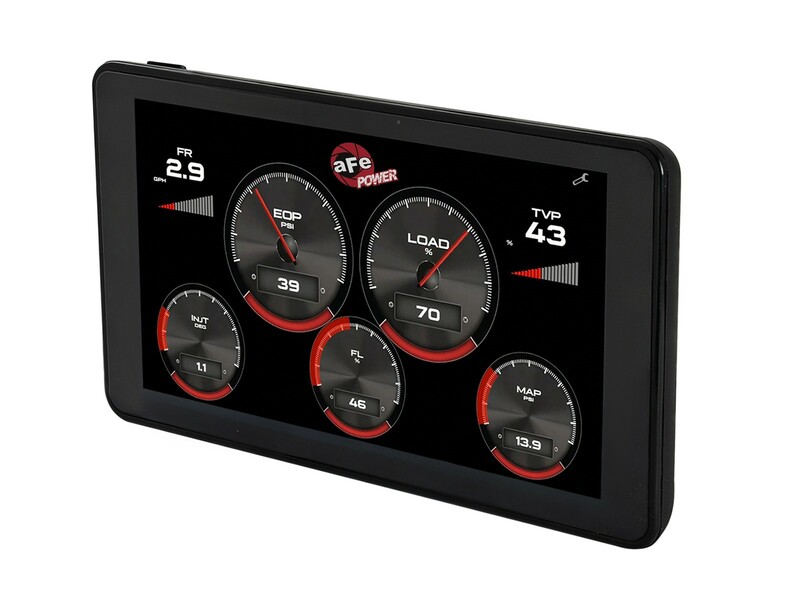 Bluetooth phone app displays gauges and allows for on-the-fly power adjustments. The best part about it: it leaves zero mark on the ECU. 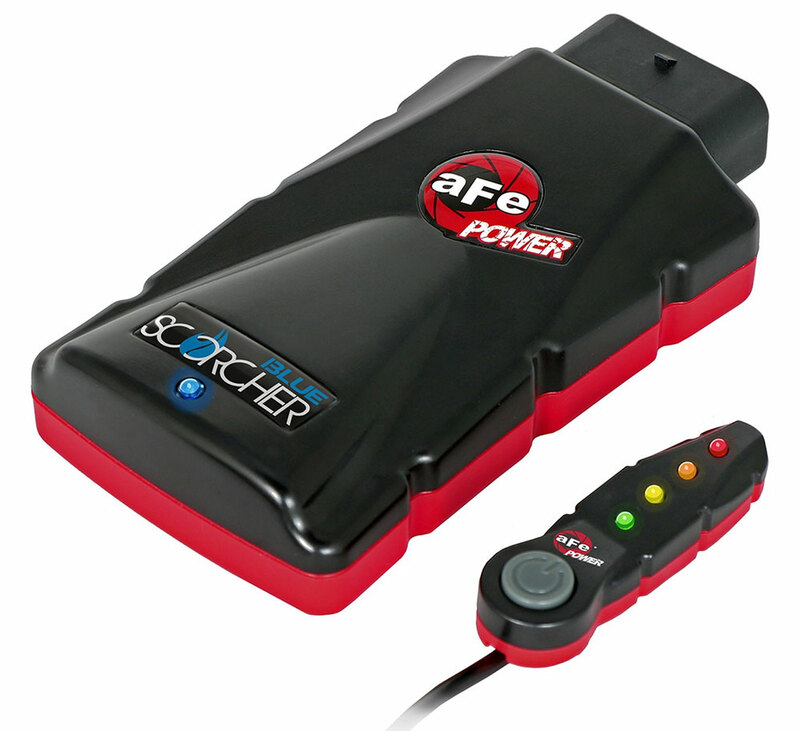 The aFe Power Power Stroke SCORCHER® Module alters the pressure sensor signals to increase boost to an optimum level throughout the entire RPM range. 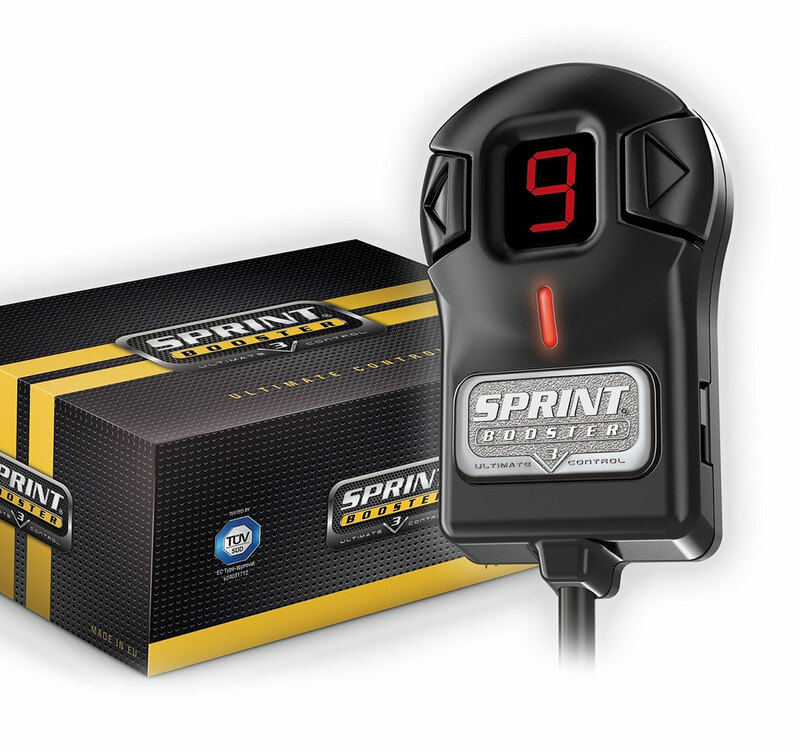 The result is instant increased performance and improved throttle response across a broad power band as well as reduced turbo lag. No cutting, drilling or splicing is required in this hassle-free 30 minute installation. 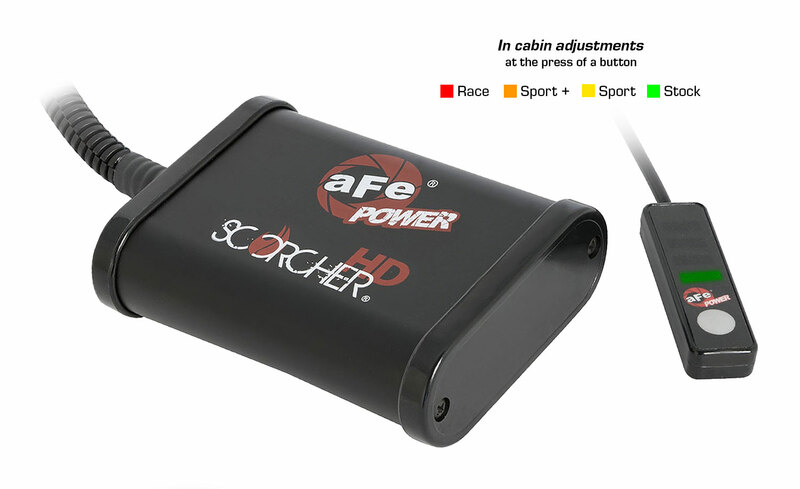 Maintains and controls speeds on descents and curves. 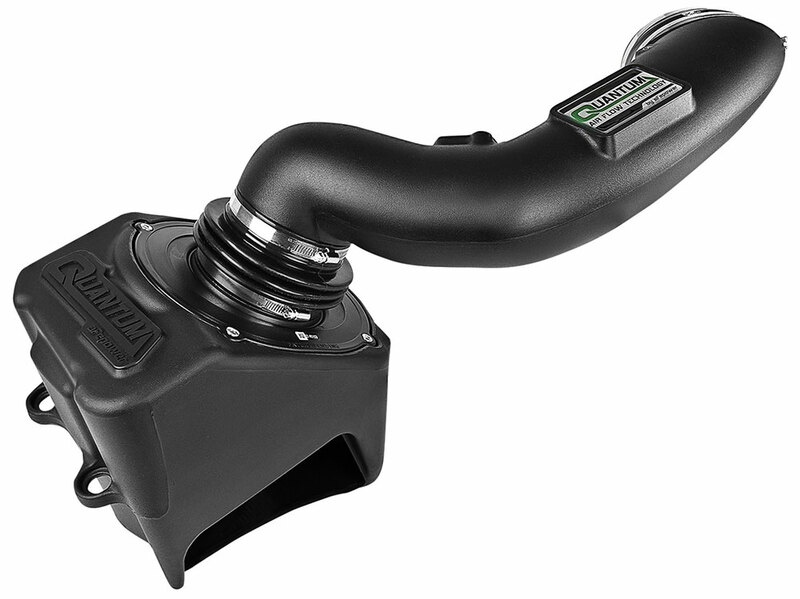 The BRAKELOGIC Module electronically closes off turbocharger vanes, providing up to 130 retarding horsepower – perfect for use when towing or carrying a heavy load. Improved Throttle Response. 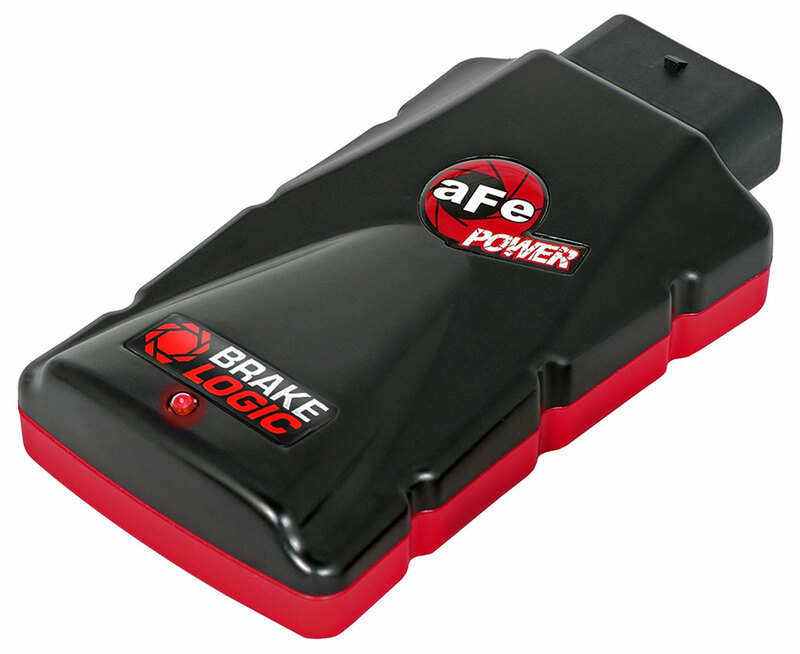 Plugs right into your existing gas pedal module and reprograms acceleration signals. The first time you press the gas pedal, you’ll immediately feel the difference. 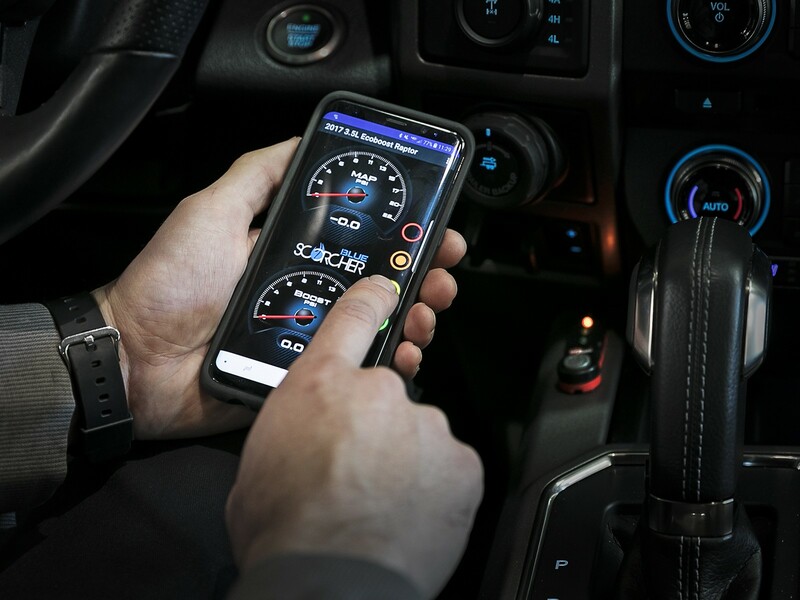 Monitor, record, and control your vehicle’s parameters and diagnostic information with the Advanced Gauge Display – all from the convenience of your driver’s seat. 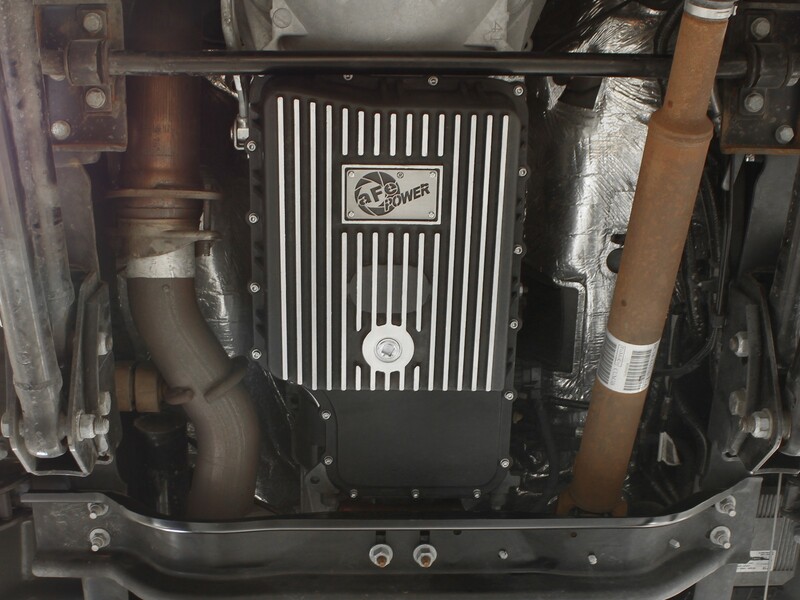 With cooling interior and exterior fins, aFe’s oil and transmission pans efficiently cool the additional fluid they house. A convenient magnetic drain plug captures loose particles for maximum protection. 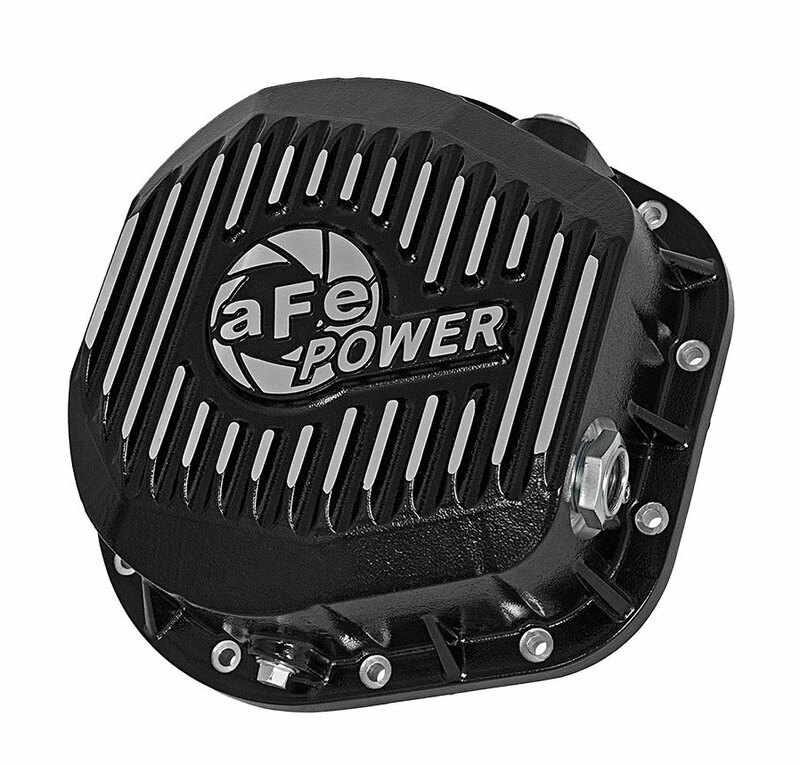 aFe POWER’s transmission pans hold an additional three quarts of fluid over stock. With cooling fins, a magnetic drain plug, an 1/8” NPT plug, and all necessary hardware, it provides maximum cooling and convenience. Offering increased fluid capacity, the Pro Series differential covers feature cooling fins, a magnetic drain plug, an oil level sight glass, deep reach dip stick, and a 1/8” NPT calibration plug for easy filling. The Street Series, on the other hand, incorporates the same magnetic drain plug and fins, but is offered in a raw finish with the oil level sight glass and deep reach fill plug available for purchase separately.